So, for those who have been avoiding them, I think it’s time you joined me back on the parallel bars. The king of the upper body mass building as I call them (disputes are inevitable), dips work a host of muscle groups as you work them out. But then, what muscles do dips work? How can you perform proper dips? And what benefits do you derive from dips? Stay with me and find out the answers to all your queries in this article. 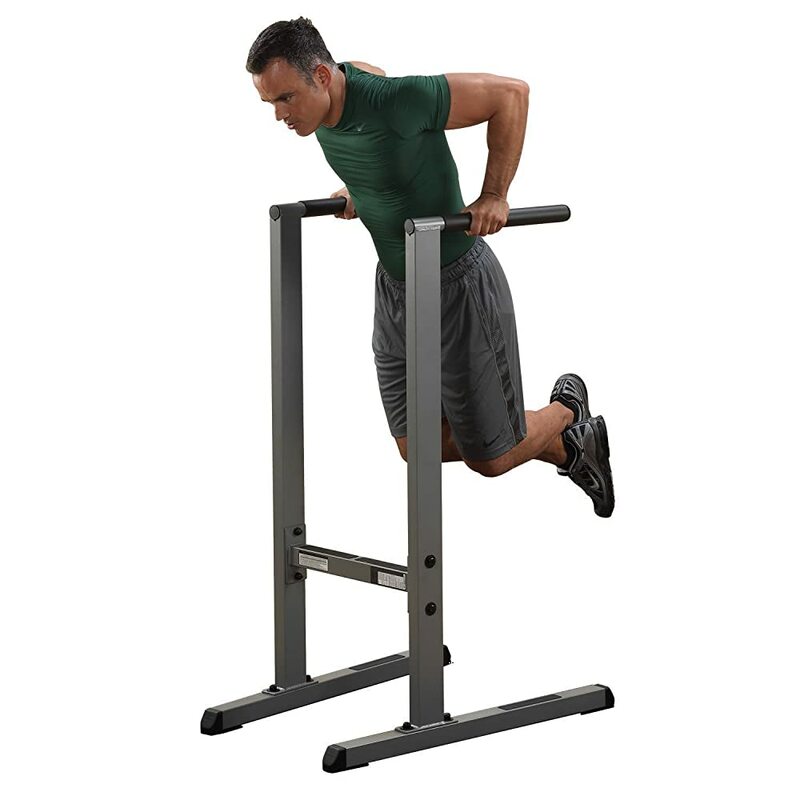 There are two common types of dips, that is bench and parallel bar dips. Each of these is meant to work out specific muscle groups. And as their names suggest, they are done differently with a varying degree of difficulty. Of course, there is a third harder variant that I will also discuss. Just as the name suggests, this workout is performed using two parallel bars supported on sturdy stands. 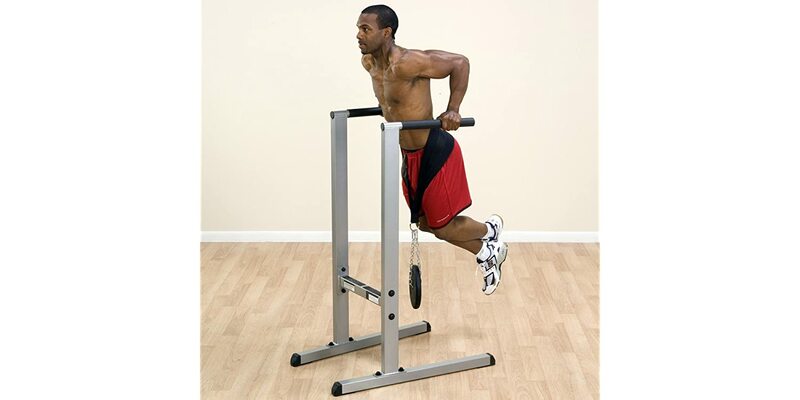 The mechanics of this type of dips doesn’t change no matter how sophisticated the gym equipment you use is. You can use simple objects, provided they are steady enough, and your knees don’t touch the ground as your hand from the bars. 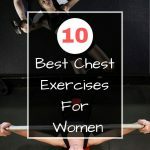 It is also called chest dips since it is meant to build your chest muscles. To perform this type of dips, grab both ends of the parallel bars with each hand. Then, push your body upwards off the floor as you stretch your arms. You may be required to bend your knees at 900 depending on how high the parallel bars are. Once you are sufficiently up, slowly lower your body by bending the arms at your elbow. Ensure no part of your legs stays in contact with the floor as you do so. Re-stretch your arms, push down onto the bars and lift yourself up again. Repeat this sequence for about 10-12 counts for a complete parallel bar dip. In one workout session, you can do this at least thrice. For those looking to give more focus to their triceps, then this variant is the best option. The main actions required to complete this exercise are exerted by the triceps muscles that extend your elbows. 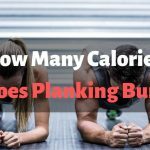 You can perform this exercise either on a workout bench or on a sturdy chair. 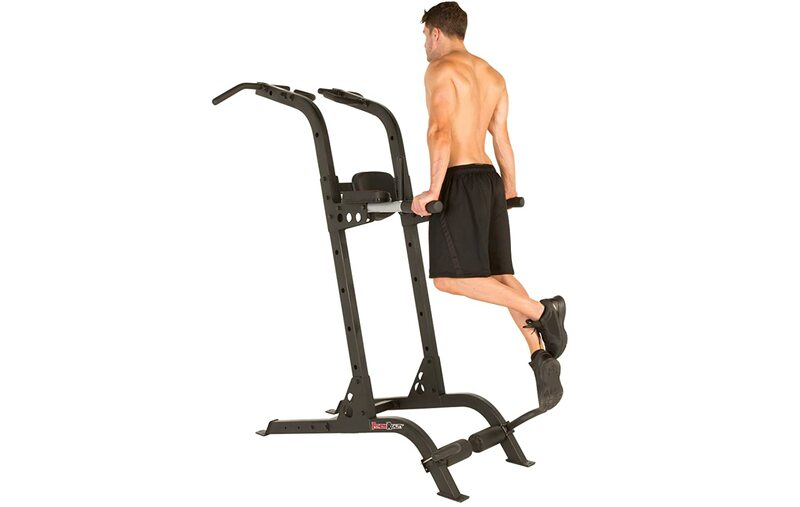 For increased resistance and difficulty levels, you can either raise the bench height or use another chair. The proper way of doing this exercise is by first sitting on the bench then grabbing its edge next to your pelvis. Use both hands for this on your either sides. Once you are comfortable, stretch your legs to straighten them out and then lift your body off from the bench as you move forward. Move forward until your torso is supported by just your arms and your heels that are either resting on the floor or resting on the other bench/chair. Bend your arms as your body lowers as far as you can go. Hold the position for a couple of seconds then straighten your arms as you push up your body. Repeat these steps as much as you can endure (preferably 15 times) for at least three sessions in your workout. The advantage of this variant is that you can do it anywhere there is a sturdy bench or even a log. In my opinion, I think this is the most challenging of the three variants of the dips workout. Since the rings are not stable, you have to be in control of your motions at all times. By trying to stay still, you activate your core muscles. With this variant, you shouldn’t try to control how fast or slow you have to go. What you have to do is strive to stay still and control your range of motions in the course of the exercise. Now that we have established the varieties of dips you can perform, let’s now explore some of the muscle groups targeted by this intense workout. As I have ascertained, each of these has a specific muscle that they work. However, there are still a number of muscles worked out. 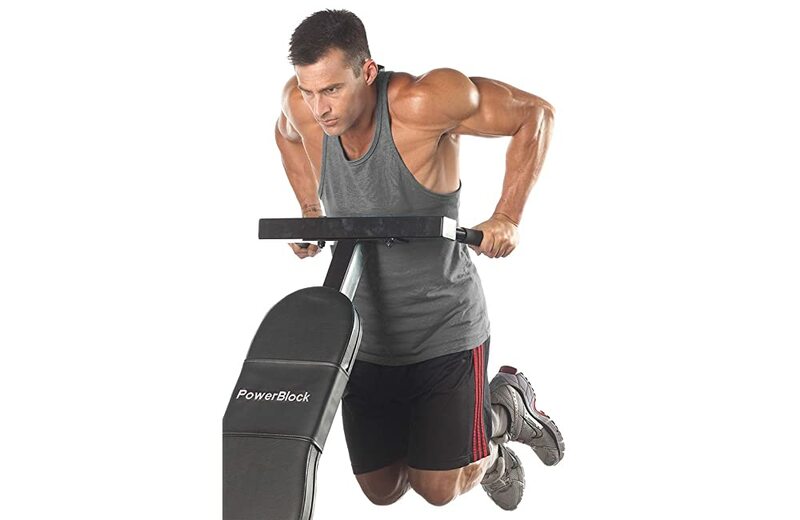 The pectoral muscles are the primary muscle groups engaged as you perform a dips workout. As you indulge deeper into the exercise, the more you feel and stretch the pectoral muscles. This muscle group is made up of two muscles; the pectoralis major and pectoralis minor. Of the two, the pectoralis major makes up your chest, lower, upper, and middle fanning from your shoulders up to your breastbone. As you stretch either during the descend or ascend of the parallel bar dips, you work this muscle. You start to feel a hard stretch on your chest in the process. Your hand placement plays a role in how much stretch this muscle group gets. When you have your arms parallel to the body, then your lower pectorals are activated. They are then stretched further with your arms behind your body. The other muscle, the Pectoralis minor is in the shape of a fan. It is found between the 3rd and the 5th ribs. Pectoralis minor assists in the pressing movements of the chest and shoulders. As I had already mentioned, the bench dips mainly serve the purpose of bulking up the triceps muscles. That is why doing dips for a while, you start to notice your arms getting bigger. Triceps are the muscles responsible for the pushing as you execute a dip, more so the bench dips. The triceps also facilitate your elbow movements and joint extensions. Halfway through an ascend, the stress that was being felt by your chest shifts to the triceps. Therefore, the lower you go during a dip, the more the triceps are worked. 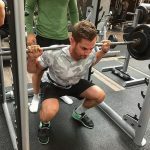 Going deeper then results in increased strengths, you become quicker and explosive in your movements. If you were wondering what muscles dips work, then it would be great to know that your core is one of those. The success of a dip depends on the support provided by the abdominal muscles to the body position. If you don’t relax your abdominal muscles, then your back wouldn’t be straight or stable. When you are unstable, you end up poorly executing the dip movements. This is noticeable by your constant back and forth swings, which might lead to injuries. As you tighten your core to pull yourself up, your traverse abdominal muscles contract to stabilize yourself. Another set of muscles stabilizing you are the obliques which contract to bring your hips and ribs closer together. Your torso is then kept from rocking from side to side. During pushing movements, the rhomboid muscles retract the scapula. Just as the abdominal muscles, the rhomboids stabilize your torso as you increase the firepower when pushing. These muscles are worked in the same way as doing bench presses. These are also called the shoulder muscles and are located at the top of one’s arms. This muscle attaches to the collarbone. All the three portions of this muscle group; medial, anterior, and posterior contract during a dip so as to stabilize your movements. This then maintains the arms in place. After knowing what muscles dips normally work, it is then essential to know what you stand to gain by doing them. I have done a couple, and let me warn you, it is a hard exercise, especially the ring dips. But the benefits your body gets outweighs the struggle to get there. Dips are a bodyweight exercise relying on your weight to provide the required resistance to your motions. As your strength increases, your body weight alone will not be sufficient. If you reach this point, you can add weight plates via a dipping belt for more resistance. But in the case that your weight is too much for a parallel bar dip, then turn to bench dips for better effect. Continue performing these until you become comfortable with the regular dips. If you were still undecided on whether to add dips to your fitness program, I would suggest you do so for an all-around program. I hope the article was beneficial to the development of your physique.